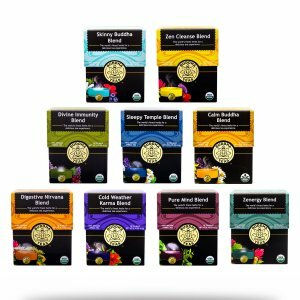 Enjoy our full selection of unique herbal blends with our Premium Blend Bundle, a fantastic collection of blends at an exceptional price! Can’t decide which of our premium blends you’d like to try first? Capture the entire collection at once with our Premium Blend Bundle! 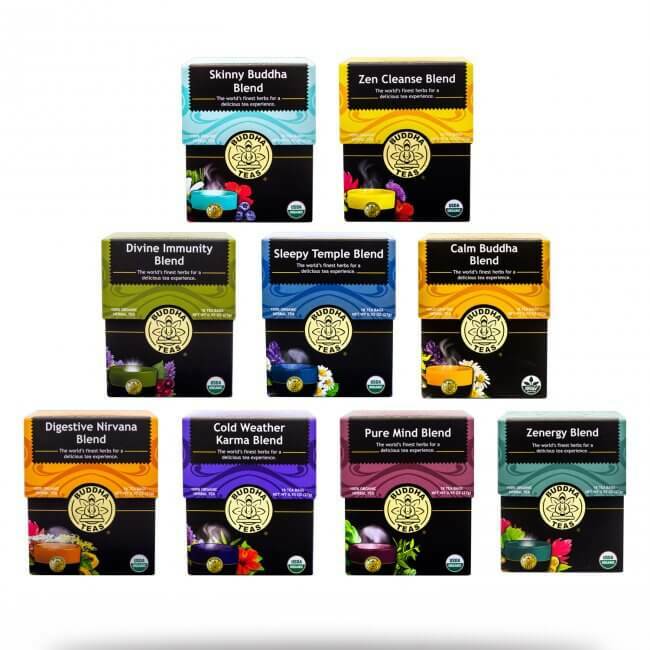 These nine herbal blends are made with 100% natural ingredients and no added flavoring. Most are also caffeine-free. 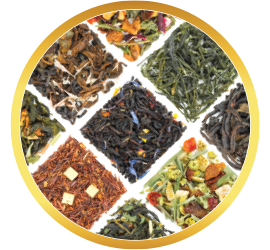 Find a tea for every event in your life with this tasty tea bundle! 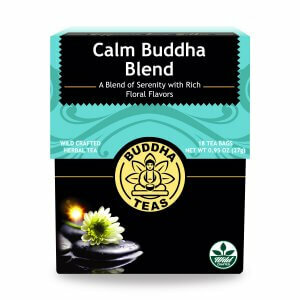 Calm Buddha Blend: This smooth herbal blend features the soothing floral notes of chamomile, skullcap and lavender, with a touch of spearmint and cinnamon. 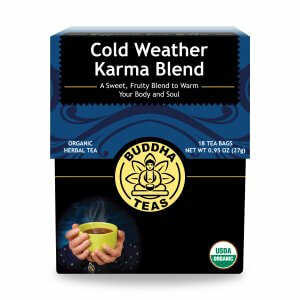 Cold Weather Karma Blend: Feel warm down to your toes with luscious elderberry, smooth marshmallow and nettle leaf, potent eucalyptus and a finishing hibiscus note. 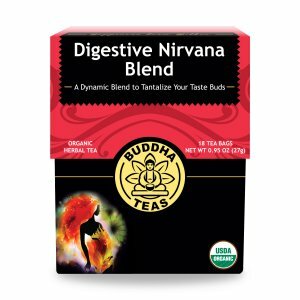 Digestive Nirvana Blend: Potent licorice, anise and fennel seed blend with ginger spice and smooth papaya in this dynamic herbal blend. Divine Immunity Blend: Feel empowered with this potent blend of elderberry, nettle leaf, rose hips and hyssop, accented by organic cranberry. 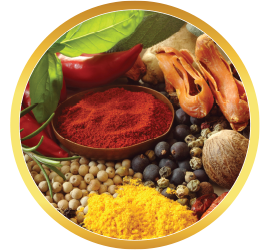 Pure Mind Blend: Free your thoughts with the savory taste of classic herbs like rosemary, sage, oregano and holy basil in this clever blend. 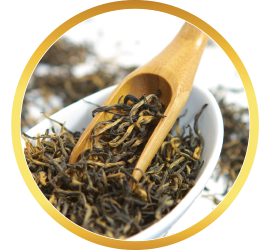 Skinny Buddha Blend: Enjoy a smooth green tea base accented by cranberry, hibiscus and lemongrass in a blend that tastes like an indulgence without actually being one. Sleepy Temple Blend: Drift away with the refreshing floral notes of lavender, chamomile and jasmine flower, enhanced by a note of cool spearmint in this luxurious blend. 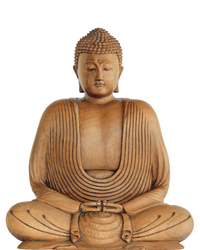 Zen Cleanse Blend: Purify your life with this blend of ginger, earthy dandelion root, and the dynamic tastes of cranberry, hibiscus and spearmint. 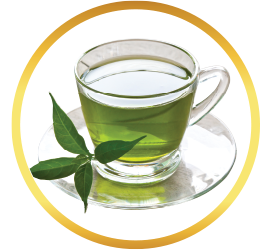 Zenergy Blend: Soak up the stimulating taste of green tea, ginger, maca, ginkgo and ashwagandha in this organic blend. 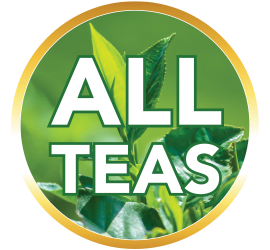 With the Premium Blend Bundle, you have a tea for every occasion waiting at your fingertips. Whether you want something to liven up your day, or just a cozy blend to curl up with, you’ll find it in this bundle. Best of all, you can enjoy the full set for only $69.99. 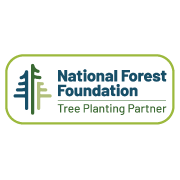 US customers save even more, as this bundle automatically qualifies for FREE shipping anywhere in the US! Liven up your tea collection today! Review Title: Blends Are the Best! 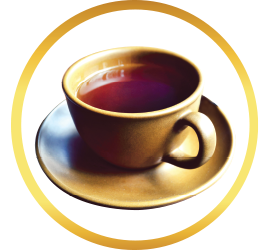 When I read about all the fabulous teas that make up the Premium Blend Bundle, I was excitedly looking forward to receiving it and trying each. This does NOT disappoint! 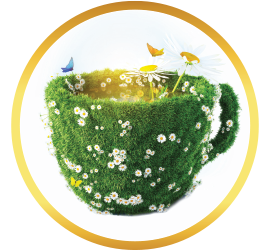 The Pure Mind and Zenergy have been my “go to” for my morning tea at the office. This morning I tried the Cold Weather Blend for the first time and loved it! The Premium Blend Bundle is definitely going to be in a repeat order. 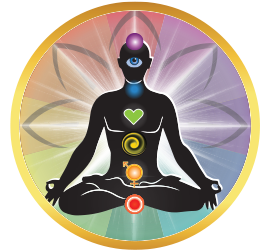 The chakra teas and premium teas are fantastic. I drink them all the time. The chakra teas are such a unique product and the packaging in beautiful. I've used the chakras teas and now these premium blends, and every tea is so good! I don't add any sweetners or anything. I drink them straight and they are delicious. Very good quality and packaging. Will order again.